Introducing the dark and mysterious Smoky Quartz, a relatively common and very enigmatic crystal. Read on to learn about how the mineral formed and about its reputed powerful grounding properties. Smoky Quartz is a macrocrystalline variety of Quartz (SiO2). “Macrocrystalline” means that it can form as clearly visible crystals, a result of the internal structure of the crystals repeating their pattern over a relatively long distance. These crystals generally occur as long prisms with a six-sided point, and form in underground fissures or gas pockets in igneous rock. As with other coloured quartzes, smoky quartz is intrinsically clear quartz, which, due to the presence of certain impurities combined with exposure to either heat or radiation, has assumed a different colour. In the case of smoky quartz, traces of aluminium are usually present and the crystals are exposed to radiation from nearby radioactive minerals. In nature, this is a process that can take a long time, but clear quartz irradiated in a lab will change to a smoky colour as well, in a relatively short period of time. Exposure to heat of either naturally or lab irradiated smoky quartz can reverse the process and render it colourless again. 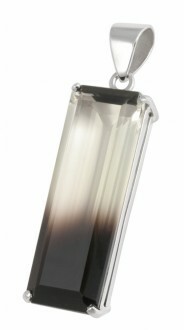 Smoky quartz is generally transparent or translucent, and found in varying shades from a pale, smoky colour to dark brown, or even black. Milky Quartz – minute cavities in the body of the crystals that contain traces of carbon dioxide or water will cause smoky quartz to appear opaque. Known as milky quartz, it often forms the matrix from which more transparent crystals of smoky quartz will grow. Enhydros – The presence of cavities in smoky quartz that contain both water and gas are known as “enhydros”, and occasionally these are large enough to be seen by the naked eye. 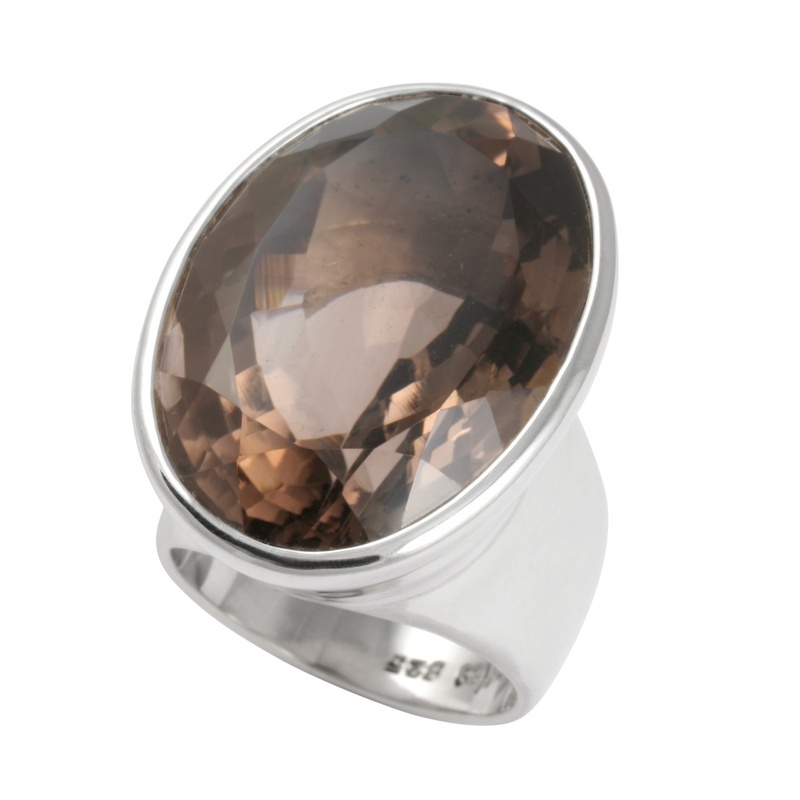 Cairngorm – This is actually an alternative name for smoky quartz, and refers to the mountain range in the Scottish highlands where smoky quartz was historically found. Cairngorm is the national stone of Scotland and adorns Scotland’s National Sceptre. Morion – The name given to smoky quartz that is dark in colour and opaque. It is very dark brown to almost black. Bicoloured Quartz – A combination of smoky quartz and citrine that forms in bands. Included Smoky Quartz – Various minerals will form inclusions in smoky quartz. Golden rutiles in smoky quartz are a sublime combination. 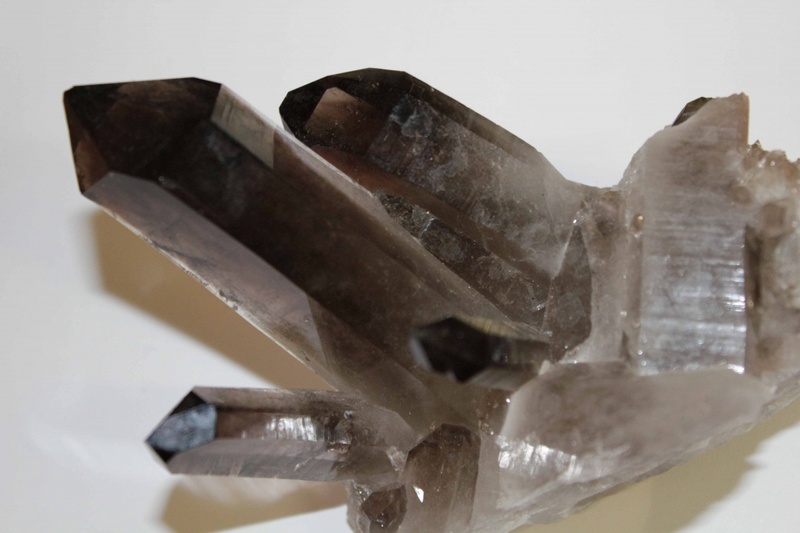 Chlorite, calcite and iron, which together form lodolite, may also be found in smoky quartz. Historically, smoky quartz was associated with the Greek goddess, Hecate. The Druids considered smoky quartz to be a sacred stone. The Scottish Sceptre, dating back to the 15th century, is adorned with a sphere of smoky quartz. Scottish men would traditionally carry small daggers embellished with the stone as well. A famous “shew-stone”, or crystal ball, was owned by Dr Dee, a diviner in the court of Queen Elizabeth 1 of England. This sphere of smoky quartz is now on display at the British Museum in London. 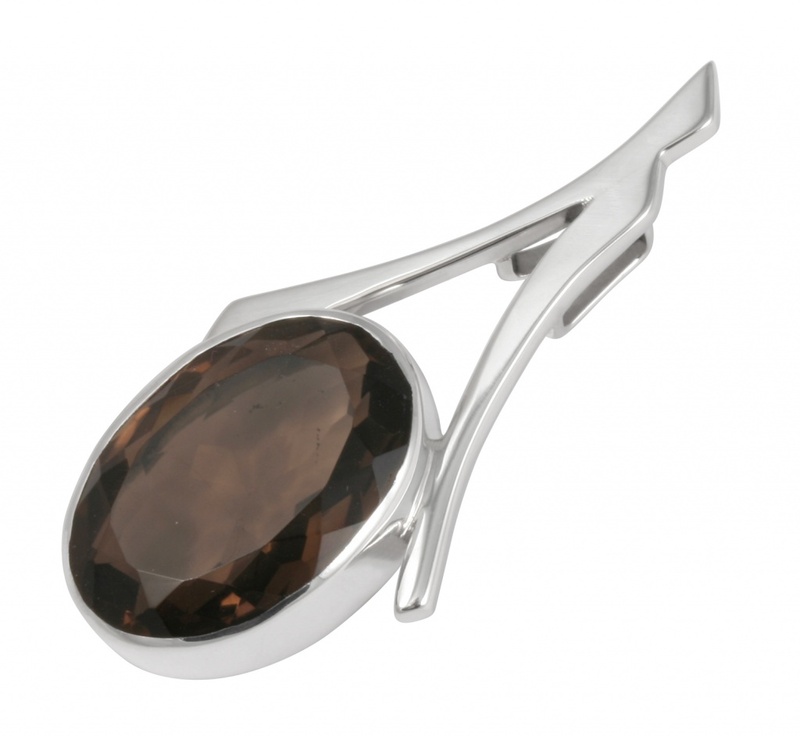 To this day, smoky quartz is highly sought after as a decorative gemstone. Smoky quartz is highly regarded for grounding, protection, clearing and getting things done. It is feted as one of the foremost grounding stones, helping those with their heads in the clouds to function in the physical world. For general practicality and organization, it comes highly recommended. For those who are actively engaged on the spiritual path, it facilitates practicality in dealing with the insights achieved through upper chakra work. It is said that it enables one to complete the electrical circuit that exists between one’s body and the Earth when this connection has been broken, and consequently reactivates ones survival instinct. As a protector, smoky quartz is said to create a barrier around the body. This barrier will protect one from negative energy in the environment by absorbing it and transferring it to the Earth to be neutralized. Similarly, it will clear internal negative energies and emotions as well. Mainly centring around the solar plexus, smoky quartz garners a sense of personal pride and joy for life. Smoky quartz also aligns ones physical and ethereal bodies, thus sharpening intuition and general perceptiveness. It also enhances ones ability to manifest ones ideas. 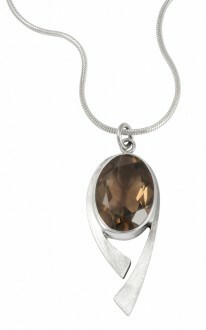 This is particularly the case with rutilated smoky quartz. As an aid in meditation, it will help to “clear the air” and prepare one for the meditative state. It is said that smoky quartz can help to counter excessive electromagnetic fields in the environment, such as those created by electronic equipment like computers and medical equipment, and even sunburn. Combine this trait with that of enhancing practicality, and it becomes quite clear that smoky quartz would come in handy in an office where lots of practical work is done. For those in business, smoky quartz is credited with encouraging creativity and enhancing astuteness in purchasing, as well as facilitating cooperation. Smoky quartz is said to promote mineral balance in the human body. It is also credited with relieving congestion in the glands and relieving disorders of the feet and hands. It also deals with the diseases and disorders that arise due to the effects of negativity. 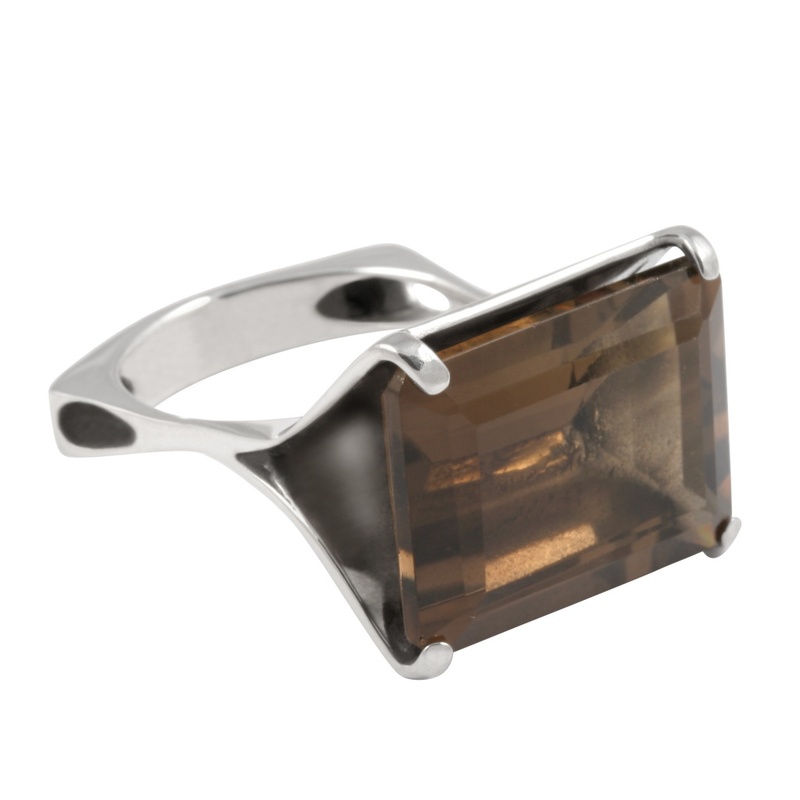 Smoky quartz relates to the astrological signs of Capricorn and Sagittarius, and vibrates to the numbers 2 and 8.